The words of thirty-five-year-old David Melman’s Jewish grandmother still haunt him. He’s scared to settle down. Instead, he dates twenty-something pop stars that he meets through his celebrity-branding business. But when his niece and nephew inform him that he’s hit “rock bottom” in the relationship department, David realizes that change might be in order. So, when his sister Marcy, with her own ulterior motive, pushes him to take a film-writing class taught by her friend Laurel, he agrees. Will writing a movie about a childhood visit to his grandparent’s North Miami Beach condominium complex, an unforgettable driving lesson, and a 1977 Cadillac bring David love? Luck? Or both? 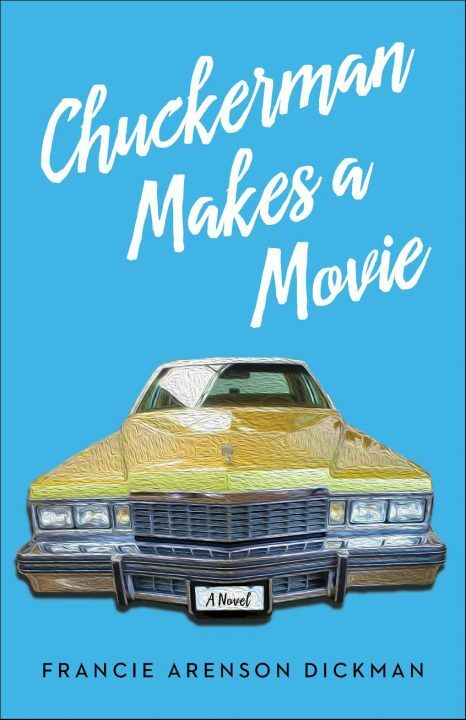 Alternating between David’s present-day life and his past through his movie script, Chuckerman Makes a Movie is a romantic comedy blended with a comedic coming-of-age. Fr ancie Arenson Dickman has been using her family as the source of writing material her whole life. Her personal essays have appeared in publications such as the Chicago Tribune, Huffington Post, Today Parents, Motherwell Magazine, Brain Child Magazine, and have served as performance material for TEDx Chicago, The MOTH and Listen to Your Mother. She lives in the same suburb of Chicago in which she grew up, with her husband, twin daughters and dog, Pickles. She received her B.A. from the University of Michigan and her J.D. from The George Washington University School of Law. 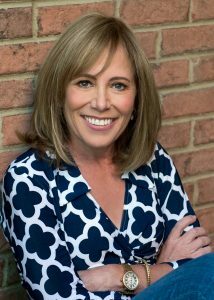 Chuckerman Makes a Movie, published by She Writes Press, is her first novel. 1. Discuss David Melman, from his sense of humor to his range of fears, to his professional success, to his passivity in his personal life, to his role in his family. What was your first impression of David? Did getting to know him as a child through this movie impact this impression? If so, in what way? 2, What does the Cadillac represent to David throughout the story? How does this change for David at the end of the novel? 3. Slip’s character is a matter of dispute. Some, like Slip’s friend Morry and David, have a lofty opinion of Slip. Others, like many of the women in the building, do not hold him in high regard. Which group do you side on? Why? What do you think defines “good” character? 4. Do you believe that Slip had an affair with Lucille? Or with any other women before her? If Slip did not cheat on Estelle, what was the basis for Gladys Greenberg’s remark about his “wandering eye?” And does whether he did or didn’t have an affair matter to you? 5. David is hung up on traits being inherited versus learned. He believes he inherited Estelle’s Nervous Nelly genes, Rachel inherited Slip’s nerves of steel, Laurel does not have “real New Yorker” in her genes. How does this way of thinking serve David? 6. Compare and contrast Estelle and Laurel. 7. David’s movie is set in the 1970s in a Miami Beach condominium building. Can the setting be considered a character in the book? 8. David’s movie script gives the reader a glimpse of the Melman family when they were young. How does the movie impact the present day story for you? 9. Marriage is a subject of the book. Discuss the various marriages in the book (Slip and Estelle; Allen and Paula; Marcy and Broc; Rachel and Peter; Laurel’s parents; even Aunt Bobo and her husband Morry who died in the death seats). Consider Grandma Estelle’s statement to Davy regarding marriage, “Love matters a little but luck matters more.” Do you agree with Estelle? 10. Is the Melman family a likable group of people? What makes them endearing? Who did you like the most? Who did you like the least?